Lighthouses needed maintenance just like any building does. In order to do maintenance, you need tools. 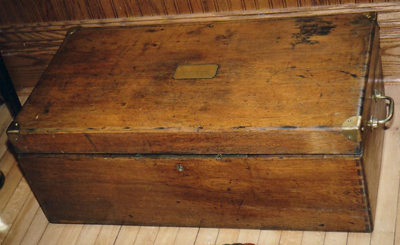 The Lighthouse Service issued a wooden toolbox to lighthouses and lightships for daily routine repairs. 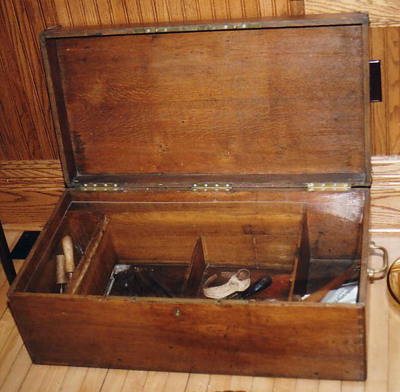 The wooden box was typical of the construction at the time with nice dovetailed joints, deep enough and strong enough to hold the tools with a sturdy bottom. A few dividers were used in the box to separate tools. The lid had a lock mechanism installed with one of the old time skeleton type keys. The boxes varied slightly in size depending on who made them. Some were contracted out to box manufacturers and then the US Lighthouse Establishment brass tag was secured to the top of the box in the center. Brass or bronze handles were installed on the sides to help with lifting the heavy chest and the lid was hinged in the back. With lighthouses located in remote areas and people being more self sufficient in the old days, lighthouse keepers had to do all minor repair work. Major repair work was contracted out or done by a Lighthouse Service Tender crew. For example, a task such as whitewashing the tower was done by the lighthouse keepers, but a major leak in the lantern room tower would be something done by a contractor or a lighthouse tender crew. The list of tools here is a very rare list to find and is very insightful into the lives of the lighthouse keepers. 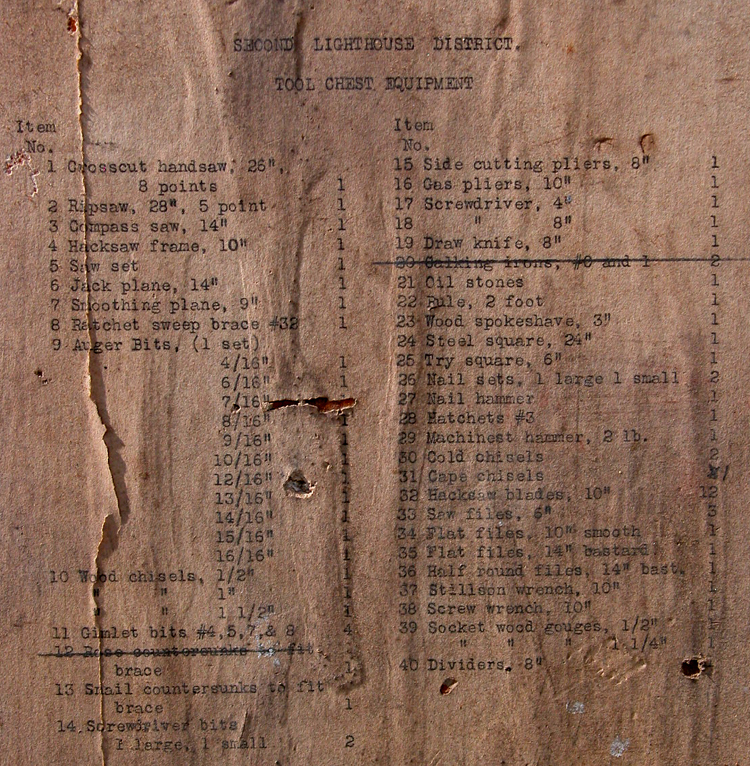 Unfortunately, the complete tool chest that this list came from no longer exists, but only the top lid to it does, and that is only the center board of it which is a little larger than this document which was on a 8-1/2” X 11” piece of paper. These tool chest inventory sheets were glued to the inside portion of the lid as this one was to help keep track of tools. We were fortunate enough to come across this list and the owner of it shared it with us so we could help educate other museums and the public about it. As noted on the document, it is from the Second Lighthouse District. We have no reason not to believe that this list would not be very similar in all locations. See far below for the full list of tools supplied from the original paper. Tool chest with lid closed. The top of this chest appears to have brass corner protectors installed as well. 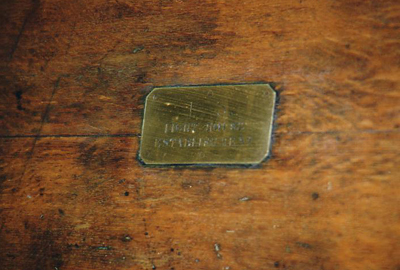 The tool chest lid with the US Lighthouse Establishment brass name plate. Here is the translated list in case it is hard to read.